Summer is coming, someone starts thinking about the suitcase and imagines long, white beaches while someone else is thrilled because ... is about to marry! As you know, this is the most expected period of the year as well as the favorite season for weddings. 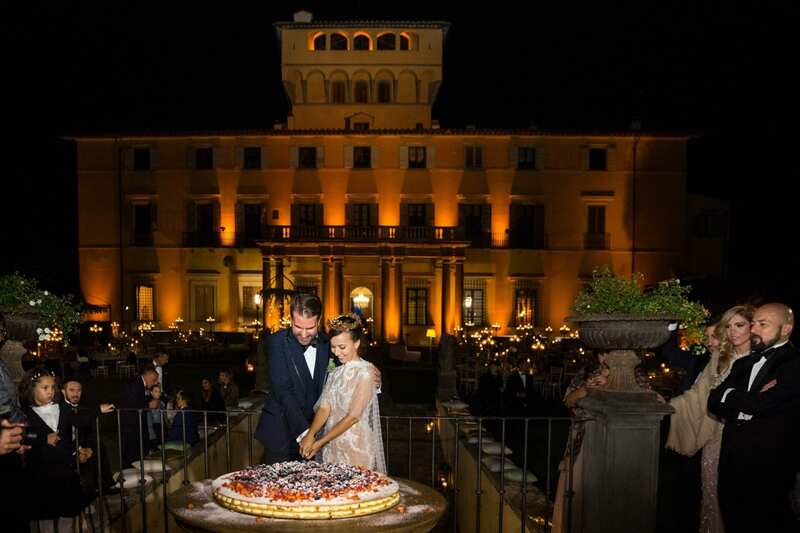 There are many reasons for choosing to celebrate a marriage in June, July or August in Italy, just as there are unlimited things you could organize: here are some tips. First of all, popular also means risky, so the first thing to do is to book in advance - even more than a year in some cases - the venue, as well as the guests. In fact, to ensure that your loved ones are not at work or on holiday around the world, inform them immediately about the wedding dates and the location chosen sending them a nice save the date. This is especially true if you are planning a destination wedding: people need time to get organize! In Italy, nice weather and long days allow to start the celebration in the late afternoon, thus avoiding the heat. Beaches and gardens can host both symbolic and civil rites with fabulous settings. For those who want to get married in a church, a good idea to "refresh" the guests at the end of the ceremony can be offer a granita or a glass of Prosecco prepared on an Ape Calessino turned into bar, so fashionable today. While you newlyweds do the photo shoot by taking advantage of the light effects and the sunset, your guests can enjoy a standing cocktail characterized by canapés, tartare and salads, all accompanied by an engaging swing band. Dinner in the courtyards of castles, on panoramic terraces or in flowered gardens will leave all guests speechless, thanks to the magic of the lighting setting. Instead of the classic American wedding cake, you could cut a traditional, big millefeuille made with cream and fresh fruit and prepared on the spot (show cooking): "light" and funny at the same time! Even the party can take place outdoors if you choose a venue away from the town, otherwise you could dance in the limonaia or in the halls adorned with mirror balls, flowers and lights. At the end, do not forget a typical ice cream station or a sweet table to wish goodnight to your guests. 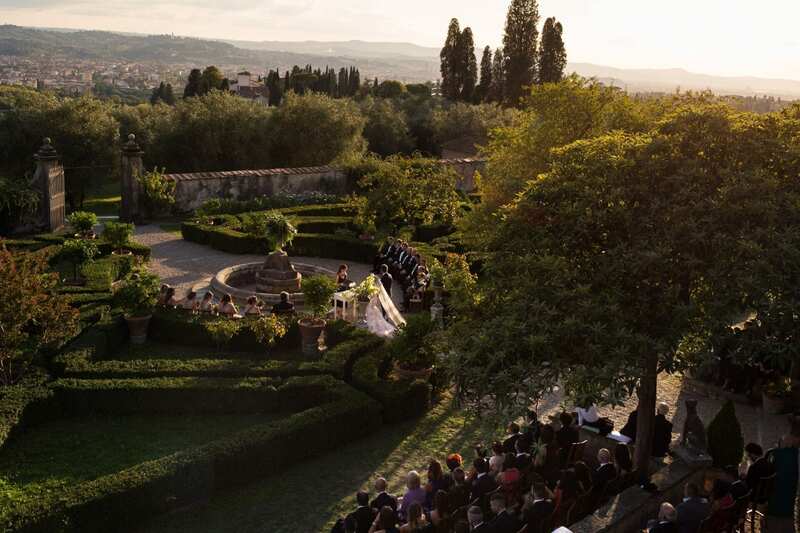 Are you daydreaming about your summer Italian wedding? Contact us and the big day will become reality!